Sorry, this entry is only available in German. For the sake of viewer convenience, the content is shown below in the alternative language. You may click the link to switch the active language. 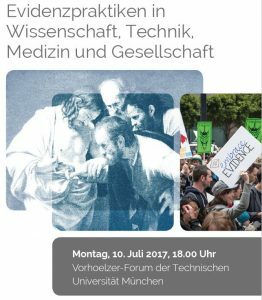 Im Juli 2017 hält Tim Flink den Vortrag “The politics of conceptual language: Why the European Research Council could be established, but not institutionalized” am MCTS der TU München, der von der Forschergruppe organisiert wird. Sorry, this entry is only available in German. For the sake of viewer convenience, the content is shown below in the alternative language. You may click the link to switch the active language. Im Rahmen der “9th ESEH Biennial Conference – Natures in between in Zagreb am 30.6.2017 hält H. Trischler den Vortrag “Thinking with The Anthropocene”. Sorry, this entry is only available in German. For the sake of viewer convenience, the content is shown below in the alternative language. You may click the link to switch the active language. Am 02.06.2017 hält H. Trischler den Vortrag “The Anthropocene: A Challenge for the History of Science, Technology and the Environment” an der Anhui University in Hefei und erneut am 03.06.2017 in der Nanjing Agricultural University.